2012. Brazil is a national-dependent society. The three cycles of its independent history were, successively, "State and Integration", "Nation and Development" and "Democracy and Social Justice". (Paper: Perspectivas) English version available. 2010. Over-exploitation as well as associated dependency interpretations denied the possibity of national bourgeoisies in the region and contributed to weakening Latin American nations. Only a third version of dependency - the national-dependent interpretation - escaped this fate. English and French versions available. (Paper: Perspectivas). 2009. Over-exploitation as well as associated dependency interpretations denied the possibity of national bourgeoisies in the region and contributed to weakening Latin American nations. Only a third version of dependency - the national-dependent interpretation - escaped this fate. English and Portuguese versions available. (Paper: Revue Tiers Monde). 1998. New dependency theory is different from the theory of imperialism, as well as from the national-bourgeois interpretation. It is "new" because rich countries are not anymore against industrialization, but favor authoritarianism and income concentration (Intervention in conference). 1997. Update of "Seis Interpretações sobre o Brasil" (1982). It was written when the Cardoso administration was beginning. (Paper in book edited by Maria Rita Loureiro) Italian version available. 1996. 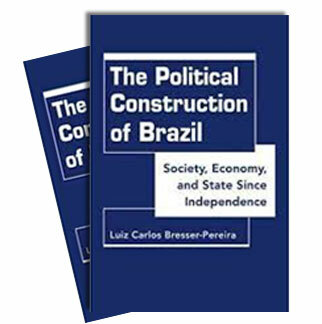 The dependency interpretation of Brazil should be replaced by the crisis of the state interpretation. 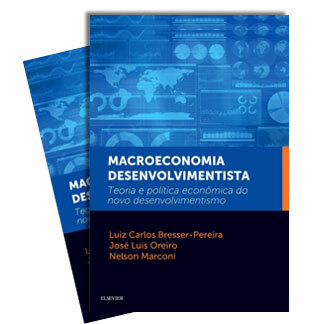 (Introduction to Crise Econômica e Reforma do Estado no Brasil. English and French versions available.